The central insight of Darwin's Origin of Species is that evolution is an ecological phenomenon, arising from the activities of organisms in the 'struggle for life'. By contrast, the Modern Synthesis theory of evolution, which rose to prominence in the twentieth century, presents evolution as a fundamentally molecular phenomenon, occurring in populations of sub-organismal entities - genes. After nearly a century of success, the Modern Synthesis theory is now being challenged by empirical advances in the study of organismal development and inheritance. 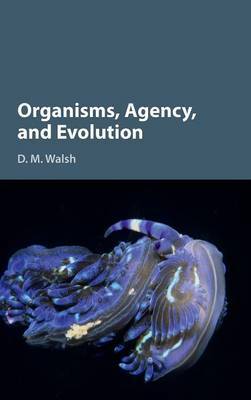 In this important study, D. M. Walsh shows that the principal defect of the Modern Synthesis resides in its rejection of Darwin's organismal perspective, and argues for 'situated Darwinism': an alternative, organism-centred conception of evolution that prioritises organisms as adaptive agents. His book will be of interest to scholars and advanced students of evolutionary biology and the philosophy of biology.